We haven't been out chasing o’io for a while so since it was a nice, warm day in Honolulu, Steve T and I went out to a nearby flat to fly fish for bones. The morning tide was going down so we made our way down to The Circle. SteveT hooked up first and brought in the first bonefish of the morning. Meanwhile there were a lot of small Mongoose fish around and I was hooking a lot of them--no bones. 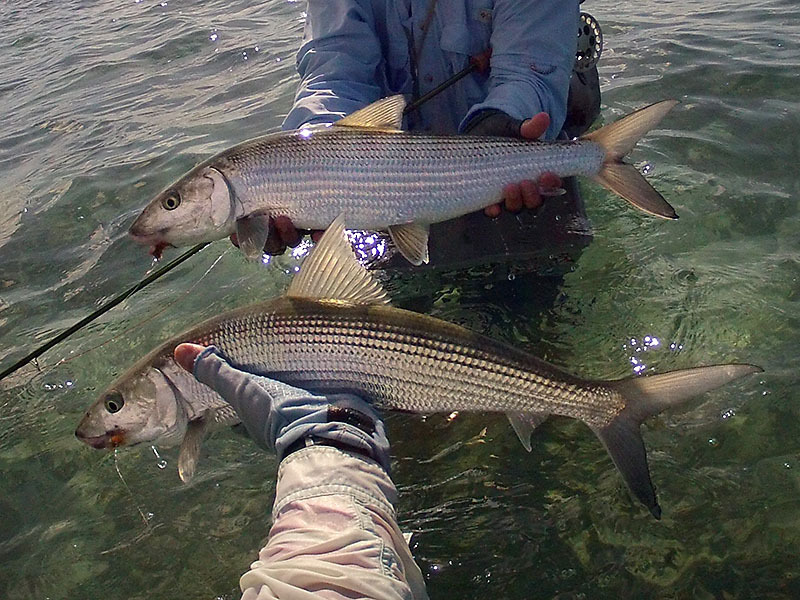 It was not the same for SteveT who hooked up with his second bonefish of the morning. After watching him land that bone, I moved down towards the area where he was fishing. I wasn't having any luck with the fly I was using, only the Mongoose fish seemed to like it, so I switched out to my Go-To fly. I made two casts and hooked into a screamer. This fish did not run towards the edge of the reef but took off to the left, running parallel to the breakers. The fish peeled backing from my reel and as I started to fight this fish SteveT hooked into his third bonefish of the day. We both were fighting two really good sized fish at the same time. As I brought my fish in I saw that SteveT had his fish in hand. We weighed both and my fish came in at five pounds and SteveT’s at three and a half pounds. After a few pictures we both went back to casting our flies. Steve hooked up but lost a few more fish but managed to land a Yellow Spot jack and another bonefish. It was a good day. 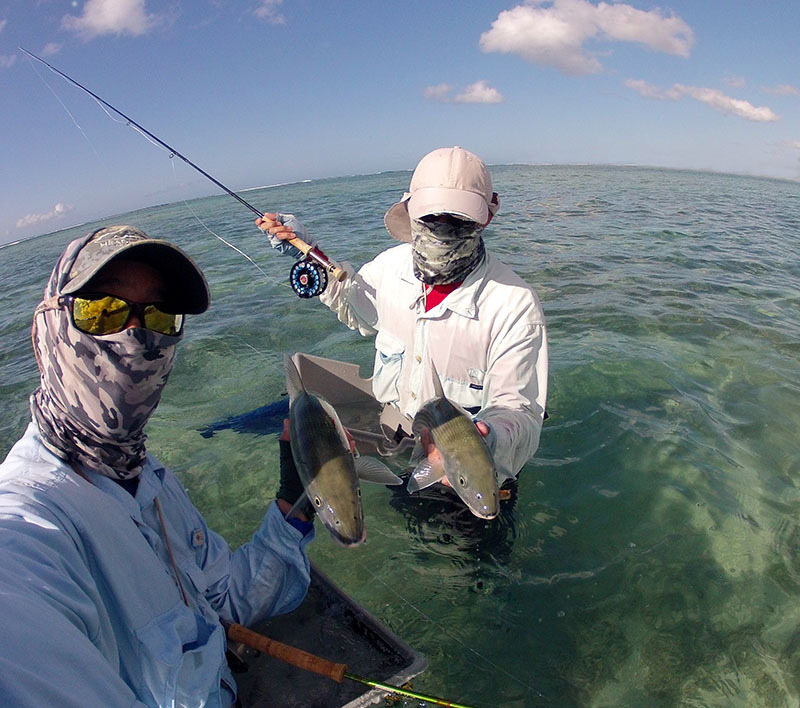 There were a lot of fish out on the reef today and we made the best of it. EQUIPMENT: Use a fast action 8 or 9 weight rod and floating line with an aggressively tapered leader and heavy tippet.